Bryan Lythgoe sets off on his challenge to walk from Fulwood Barracks in Preston, to Peninsular Barracks in Winchester, at 0700hrs this Thursday, 19th May 2016. He is raising money for The Regimental Welfare Fund. Bryan aims to finish his walk on Wednesday 25th May between midday and 1pm, and will coincide with the visit to HHQ of The Senior Colonel KRH, HRH Prince Michael of Kent, who will arrive to open the refurbished HHQ at 1130hrs. Those who wish to support are welcome to gather at the Regimental tent in front of HHQ. You can read about Bryan’s challenge on the KRH Website and follow him on Facebook here, where he will be posting updates of his journey along the way. Please help Bryan to achieve his goal of raising £1992. Donations can be made on line at this link, or via the Regimental website, or cheques (made payable to "KRH Regimental Welfare Fund”) may be sent to HHQ KRH, Peninsular Barracks, Winchester, SO23 8TS. “Right I have read the book (The unlikely pilgrimage of Harold Fry) Seen the film, talked the talk. Now I have to walk the walk. Ringo is over the moon with his hat even if it is a little large. Shirts and hats and waterproofs supplied free of charge by my hero Darren Walker. Now there is the little matter of raising a bit more dosh to reach my target. If you would like to donate please have a look at what I aim to do at http://www.krh.org.uk and click on Hawk on a Walk. Please bear in mind I want to do this in 5 days and at the ripe old age of 59 years and 11 months I will need a lot of motivation. I will keep you all informed of how I am doing and where I am by regular postings on facebook. I thank you all for supporting and sponsoring so far. Go day is this Thursday at 0700hrs. Bryan. Gulp”. Over the past year the Regimental Welfare Fund has distributed in excess of £17,000 to over 35 former members of the Regiment, or family members, who were in need. Fed watered ready for the next 40 ish. Did about 45 mile today detours through Wigan and Warrington. Drenched but not feeling too bad. Warrington named a road after me, how very kind of them. Sorry about not keeping you all informed of my whereabouts but technology me and water do not go well together. Meeting up with Terry Murphy in the morning to keep me company for a few miles or 20. Love you all to bits for your encouragement. X Bryan. Bryan has raised £2468 so far. Preston : Euxton : Coppull : Standish : Wigan : Abram : Golborne : Haydock : Hermitage Green : Winwick : Warrington : Frandley : Lostock Graham : Lostock Green. Lostock Green : Lack Dennis : Cranage : Holmes Chapel : Brereton : Brereton Green : Arclid : Rodeheath : Hanford : Trentham : Tittenser : Meaford : Aston by Stone : Yartlet : Stafford : Queensville : Bednall Head. Bednall Head : Huntington : Cannock : Rummerhill : Great Wyerly : Churchbridge : Newtown : Wallsall - West Bromwich : Smethwick : Sellyoak : Weatheroakhill : Beoley : Winyates West : Ipsley : Matchboro : Washford : Studley : Coughton : Kings Coughton : Arrow : Bidford on Avon. Bidford on Avon : Bickmarsh : Ullington : Honeybourne : Santbury : Longborough : Stow on the Wold : Wyck Hill : Burford : Brize Norton : Bampton : Buckland Marsh : Stanford in the Vale. Saturday was a difficult day for Bryan. He was navigating around and through Birmingham and found that the concentration needed to avoid the heavy traffic whilst trying to follow the route guide was extremely difficult, and he was not helped by the very wet weather. So he was very pleased to be joined by Carl Smith who accompanied Bryan through Birmingham and was able to keep his moral up at a difficult time. On Saturday night he had a moral boosting treat with accommodation in a B&B on his route paid for by Mick Blakey, and he was able to attend to his blistered foot. On Sunday, feeling refreshed and with a good breakfast, Bryan set off once again. During the day he met up with his support team (SQMS Tony Wagstaff) and crossed some lovely countryside heading towards the Cotswolds and passing through Stow-on-the Wold. He said that it was a pleasure after the heavy traffic of the Birmingham area. Sunday evening was spent in the grounds of The Merry Mouth Inn, on the A424 north of Burford. He was fed and watered, compliments of Bill Prince and Mo Rudd the owners. Bryan’s route today takes him through Wantage. He is tired, both physically and mentally, and has some blisters, but the legs are raring to go and he is in good spirits. He is looking forward to watching the FA Cup final that he has recorded and has avoided hearing the final score. Bryan has raised £2628 so far. Bryan had another very good day yesterday, making great progress through the Cotswolds and heading towards Newbury. Physically he was feeling good and got a great boost from all the messages of support on his Facebook page, and of course all the very generous donations – Thank you. “Bryan is in Newbury, 26 miles to go, they will be stopping a few miles north of Winchester for the night. He will be putting on tonight timings for tomorrows arrival. They have Chris Sym with them today taking photos, so they might be popping up during the day. Bryan is due to finish his challenge between midday and 1:00pm tomorrow, 25th May 2016, at HHQ, Peninsular Barracks, Winchester, SO23 8TS. 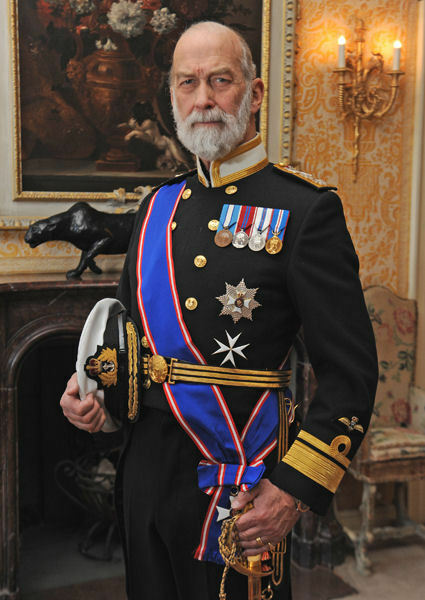 This is during the visit of HRH Prince Micheal of Kent GCVO. If you are able, please come along to support and congratulate Hawk on a Walk. As of this morning his total is a fantastic £3245.75. Thank you to everyone who has donated so far, if you wish to donate then follow this link (http://www.krh.org.uk/hawk-on-a-walk.html) to donate on-line, or cheques may be sent to HHQ (payable to “KRH Regimental Welfare Fund”) c/o the address below. Hussar To Bri - that's a big 14/20 HUSSAR. I watched an amazing effort by who I now consider to be an amazing man. All I could do to help was take a few pictures to record his efforts, do a few videos and keep asking him if he was OK.
Bryan Lythgoe managed to walk at some pace for a considerable amount of time that I saw, he managed to do that for several days. Well done Bryan an amazing effort and over £3500 raised as I understood it so far for the Regimental Welfare Fund. If you have not sponsored him yet then please do, I have asked that the link remain on the KRH website for a few more days. Go to krh.org.uk and follow the Hawk on a Walk link.